ProCal is our most advanced calendar, showing you the most important details of your weeks classes. ProCal even allows you to perform actions like take attendance and enroll students directly from the calendar. ProCal’s color block layout allows you to quickly see what levels of classes are being offered at certain times. Color coding allows you to visually group your classes so you can more effectively plan your week. Customizable colors allow you to design ProCal to your liking. Information is everything and ProCal gives you the ability to see the information that is most important to you. The details drop-down allows you to choose to view additional elements such as level, area, instructors, students, and waitlisted students. The stacked view of ProCal condenses your calendar making it easy to understand at a glance. 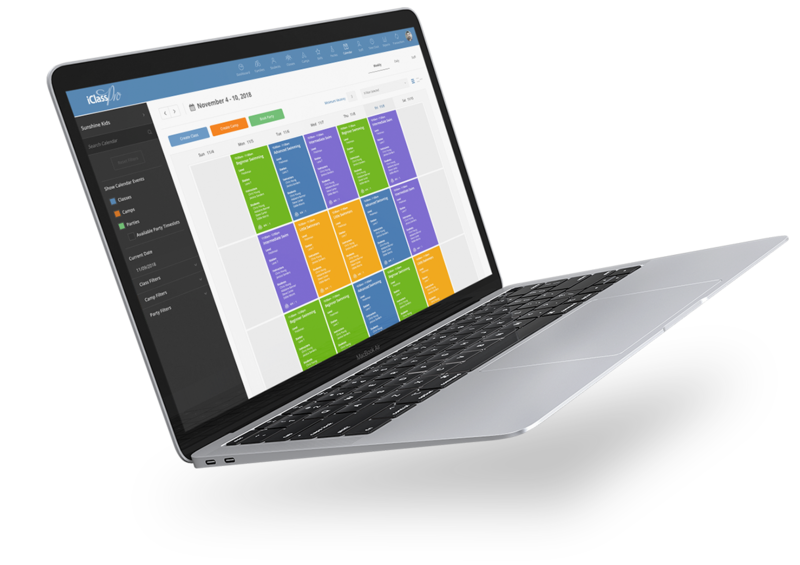 Stacked view allows you to see your entire days worth of classes from start to finish. ProCal clearly displays classes that have been canceled or are part of a blackout schedule. Procal also makes canceling a class simple. Selecting a class opens up a window where you can simply click “cancel this class”. Procal shows you how many students are enrolled in your class and intelligently accounts for absences to reflect how many openings there are for a given class time. Scheduling makeups is made easy by ProCal’s Availability at a Glance. From ProCal, you can select a class and access various class actions. In the ProCal class popup window, you can enroll a student, group enroll, evaluate skills, check attendance, and even edit the class. You can also edit student information directly from ProCal.